KE00076 is a solid phase sandwich Enzyme Linked-Immuno-Sorbent Assay (Sandwich ELISA). 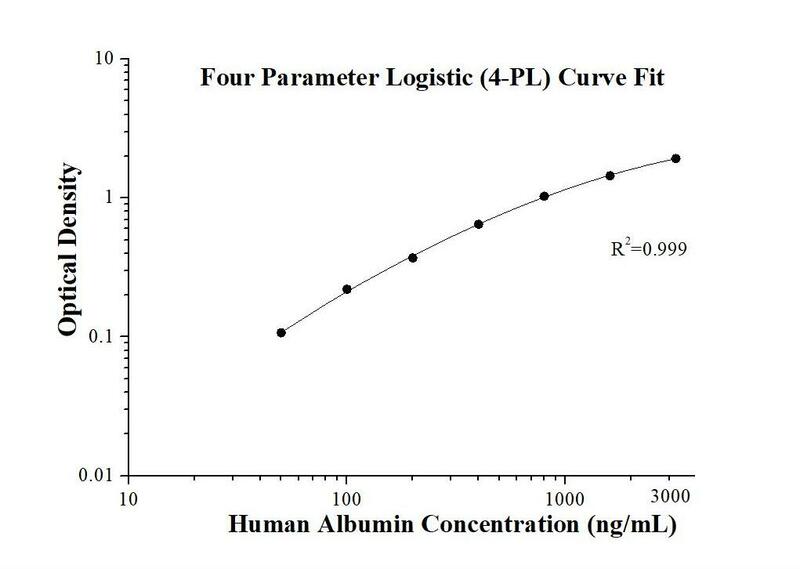 The Albumin ELISA kit is to be used to detect and quantify protein levels of endogenous Albumin. The assay recognizes human Albumin. A monoclonal antibody specific for Albumin has been pre-coated onto the microwells. The Albumin protein in samples is captured by the coated antibody after incubation. Following extensive washing, a horseradish peroxidase (HRP)-conjugated monoclonal antibody specific for Albumin is added to detect the captured Albumin protein. For signal development, followed by Tetramethyl-benzidine (TMB) reagent. Solution containing sulfuric acid is used to stop color development and the color intensity which is proportional to the quantity of bound protein is measurable at 450nm with the correction wavelength set at 630 nm. Albumin is the most abundant protein in blood plasma. It is produced by well-differentiated hepatocytes, and plays an important role in maintaining osmotic pressure. The normal range of albumin in plasma is 3.4-5.4 grams per deciliter (g/dL). Decreased levels of serum albumin may be a sign of kidney diseases or liver diseases (like hepatitis and cirrhosis). This kit is used to quantify the albumin level.